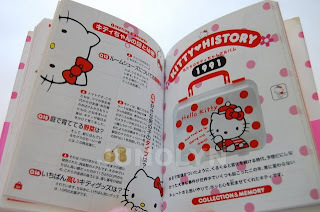 I don't usually buy any kind of Hello Kitty books, unless they are mini sticker books or vintage coloring books with stickers - so below is one item book that is very handy for a collector like me, who wants to know what kind of vintage items were selling at the time. 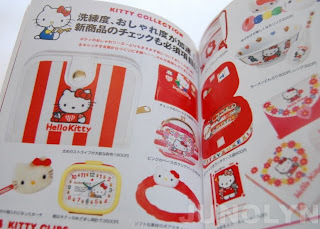 Not a lot of Hello Kitty books have many pictures of vintage merchandise to be an actual use when browsing e-bay or recognizing vintage items in yard sales. 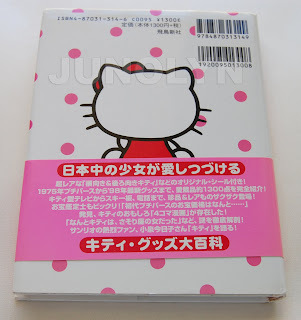 This one book is definitely a keeper for any vintage sanrio collector. 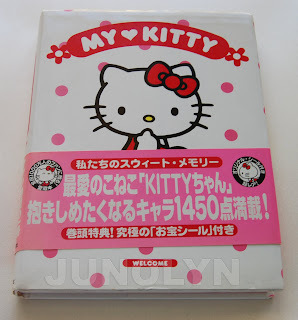 Maybe this is why most of my collection consists of vintage Sanrio stuff. "You want what you can't have"
Help fund the research of a time travel machine to the past! I'd pay big bucks to go back in time to buy these vintage items, especially the pencil cases, pens, and erasers. 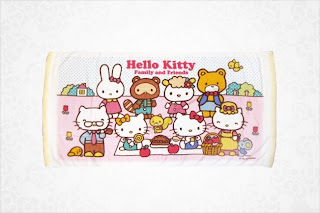 Wishing to find some great sanrio stuff in future Sanrio store visits. 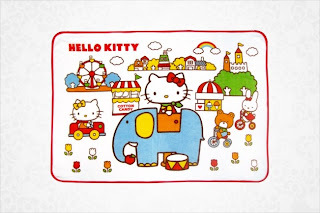 Plus with a new year, does this mean that Sanrio will finally impress me big time to keep me visiting all year round instead of mainly buying vintage items online? I see some new retro looking products. I think they're going back in time... hopefully, not cheaply made. What do you think? Do you like? I'm not really into towels, so I rather see the other products of the similar design in store to pass any final judgements. And, p.s. where are the pencil cases (opens on two side ones) and stamp sets that look like suitcases?